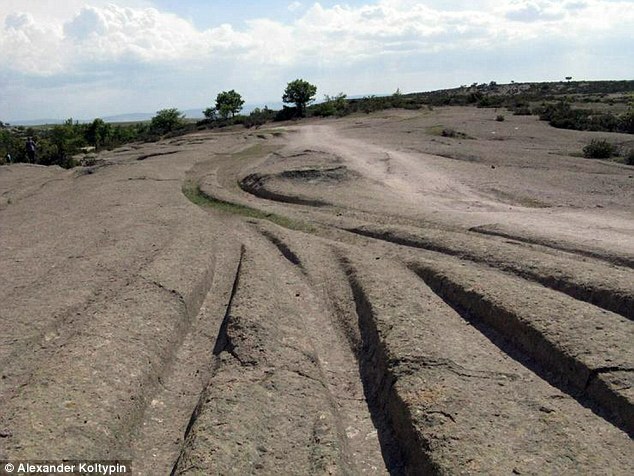 Fossilised Vehicle Tracks in Turkey (Image credit: Dr Alexander Koltypin). Dr Alexander Koltypin, director of the Natural Science Scientific Research Centre at Moscow’s International Independent Ecological-Political University, recently returned from a field trip in the Phrygian valley of central Turkey. Upon his return he has made some very bold claims about a number of strange stone formations that are present in the area. It is his statement that what he has observed were fossilised vehicle tracks from an advanced wheeled vehicle that operated in the area over 12 million years ago. Map of region with stone tracks (Image credit: Daily Mail). In his report based on the field work carried out, and ancient civilisation was driving huge tank-like vehicles around long before the rise of homo sapiens. The tracks were so deep that they remained in place long enough to harden and then eventually fossilize. 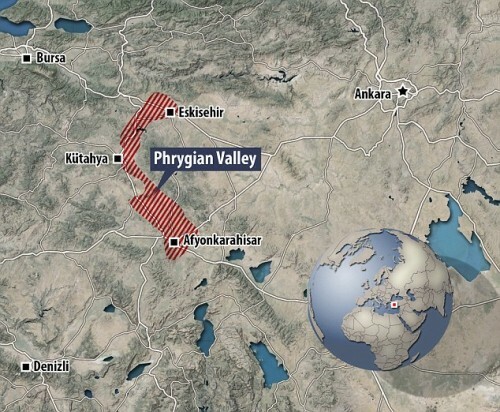 The tracks go on for many miles throughout the area of his explorations in Central Turkey and always as a pair of tracks that has the same distance between each track, as we would expect from a wheeled vehicle. As an expert geologist Dr Koltypin knows his subject and was able to date the volcanic rock to between 12 and 14 million years in age, as such he does not believe this is the remnant of a Homo sapiens sapiens society. He suspects they might have even been very different beings from humans of today. Koltypin understands why other scientists do not want to touch this subject, it is just too controversial and would overturn a number of established theories about earth history. 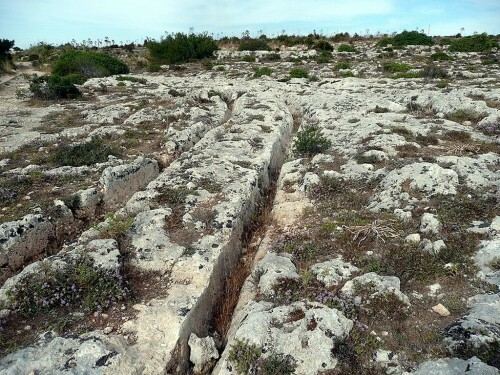 Stone tracks found on Malta (Image credit: Prokop Vantuch). It is also a fact that similar fossilised tracks are found elsewhere in the world, most notably miles of such furrows are found on the island of Malta. Many years ago, somewhere in Far Siberia, Russian geologists made the deepest drilling hole of 19.3 kilometres.. suddenly they encountered impenetrable barrier like very hard glass…they used the latest technology available, camera with microphone…which melted after few minutes : what they registered, were some groaning shadows and points of light moving between…on highest orders, they gave up and were sworn into government secret act….sounds familiar ? everywhere on Earth ? Is there any link to that story please? Jewels of Jericho, that’s what I believe they’re talking about. It’s just an old tale. Russians dug deep into Siberia. Try searching Siberian hole to hell on your search engine. ““None of it is true. I fabricated every word of it!” explained Rendalan during an interview with TruthorFiction.com’s Rich Buhler. Rendalan, who, during his trip to America, was gob-smacked by the serious coverage of the ridiculous story, sent the article (which was actually about a community building inspector) and fake translation to TBN just see whether the network’s fact checking practices were really as, well, non-existent as they seemed. I feel less intelligent for having just read this….. In Malta, the tracks are in limestone, and extend out into the Mediterranean sea.